Hamby Home(in)stead ...: Bright yellow! It was very grey outside today, even when it wasn't raining. After connecting the hose to top-up the tank and making sure the chookies had food and water, I retreated inside. I've planned to make lemon butter for several weeks now but kept using the necessary ingredients for something else. 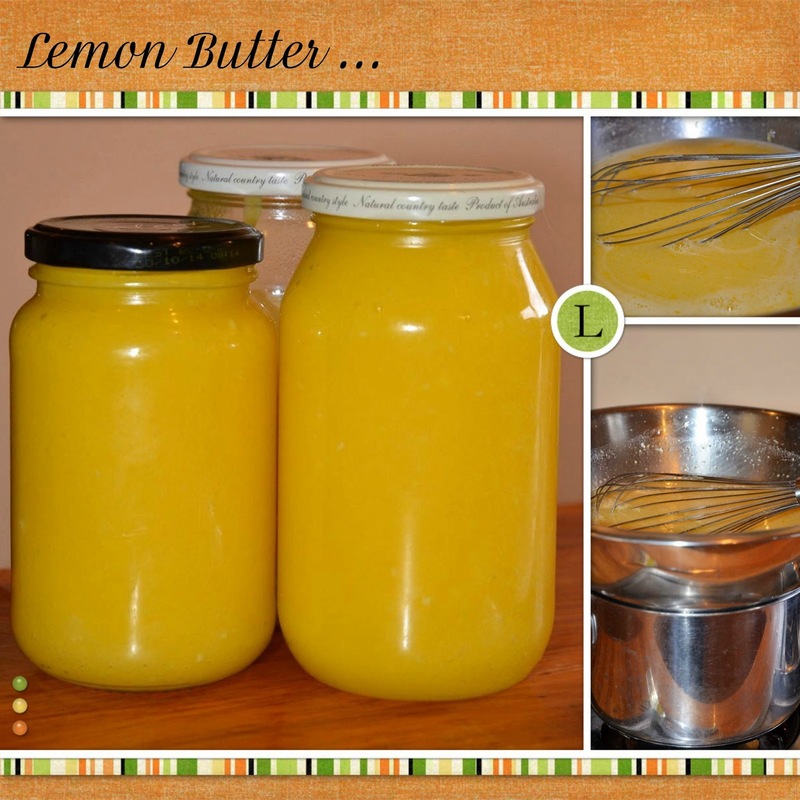 (Obviously, it's very difficult to make lemon butter without butter and/or without lemons)! I did a quick tally this morning and as I had everything necessary, I decided to create some lemony brightness to counter the overcast day. (It worked, too - for me, at least)! Our chookies have been producing less eggs as the temperature drops. Seemingly they need their energy to produce winter feathers instead. That makes sense, though I do think they should have started feather production sooner! In spite of their lessening productivity we still received 11 eggs each of the past two weeks, so I used six this morning. Our girls do fantastic work. I don't think I've ever made such brightly yellow lemon butter! And in case you are wondering, Vaughan and I have taste-tested the end product. We had a teaspoon each, straight from the jar. Mmmmmm. It's good!